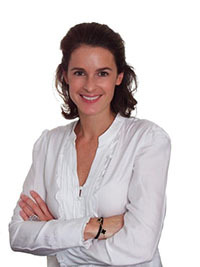 SMCP, the owner of Parisian fashion labels Sandro, Maje and Claudie Pierlot, has named Célia d’Everlange as its head of IR in a newly created role following the firm’s October listing. D’Everlange, who holds a DESS (Diplôme d’études supérieures spécialisées) and a master’s degree from Paris Dauphine University, served most recently as director of IR at Danone. Nadia Ben-Salem Nicolas now heads the Danone IR team, but was not immediately available for comment. Prior to her time at Danone, d’Everlange spent almost 10 years with Rothschild & CIE Banque as part of the financial communications advisory team, according to a statement announcing her appointment. SMCP’s listing on the Euronext Paris exchange valued the company at €1.7 bn ($2.1 bn) when it went public at €22 per share on October 20, trading in the form of promesses d’actions, a type of share right. ‘We are very pleased with the success of this IPO,’ CEO Daniel Lalonde said in a statement following the listing ceremony, where he was accompanied by Evelyne Chétrite and Judith Milgrom, the founders and artistic directors of the Sandro and Maje brands, as well as Ilan Chétrite, founder and artistic director of the Sandro men’s label. The three brands owned by SMCP were launched in the 1980s and late 1990s but their popularity has grown markedly in recent years. SMCP saw net sales reaching €786 mn in 2016, averaging a 27 percent increase per year since 2010. The brands are now present in 36 countries at more than 1,200 retail outlets. SMCP’s major investor – Chinese textile firm Shandong Ruyi – maintained its controlling stake in the company following the listing, and d’Everlange says this brings benefits.